I had the privilege to lead the team that updated The Official Ubuntu Book for this sixth edition. 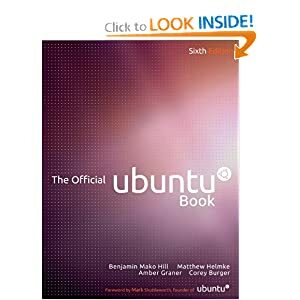 The book continues to serve as a quality introduction for newcomers to Ubuntu, both the software and the community that surrounds it. Link to the Amazon.com page for the book. This entry was posted in Book/Magazine Reviews, General, Linux / Ubuntu, Ubuntu Planet. Bookmark the permalink. The biggest update is the extensive coverage of Unity, the new Ubuntu default interface. Other updates include changes in information about related projects, desktop features and default programs. What’s been updated since the previous edition ?